What we want to provide is,"Global Farming Style". InLoCo can tailor an appropriate type of state-of-the-art plant factory facility to flexibly meet any client’s demands and needs. InLoCo proposes mainly three types of the plant factory facilities: the Container type suitable for mobile production, the New-Built type maximizinguse of land, and the Renovation type utilizing an existing space effectively and productively. InLoCo's system has demonstrated the dependable results on with a return on investment of three years after the commencement of operations at its plant factory, achieving maximum profit with minimum initial investment. The strength of InLoCo's system is its thorough and sophisticated operation solution that maximizes total efficiency. InLoCo plans out the entire operation solution, presupposing successful commercialization of the plant factory operation. The key to a successful plant factory business is to grow diverse varieties of vegetable crops in a limited space, efficiently. By developing a business plan based on InLoCo's experience and growing techniques, it is possible to produce Delight Foods' popular vegetable-crop lineups within a limited space, efficiently and profitably. InLoCo has been able to put together a plant factory within 30 days* from the commencement of the construction to the beginning of the operation. * This excludes the time necessary to run preparation research, business planning, and construction material procurement. InLoCo's plant factory can be constructed virtually anywhere a client desires, having the three types of the facilities as options:the Container type, the New-Built type, and the Renovation type. It is possible to build a plant factory directly in or right next to where the produce is sold, in order to provide exceptionally fresh product to consumers. By eliminating time-consuming transportation process, customers can have access to the freshest and most nutritious produce. InLoCo can offer a small to large-scale commercial plant factory business plan. *InLoCo proposes a business plan with the goal of maximum profitability to a client who's considering a commercial installation of a plant factory, regardless of the size of the plant factory. *There is a minimum scale for the plant factory to accomplish commercially acceptable profit. Flexible design to meet a client’s needs. 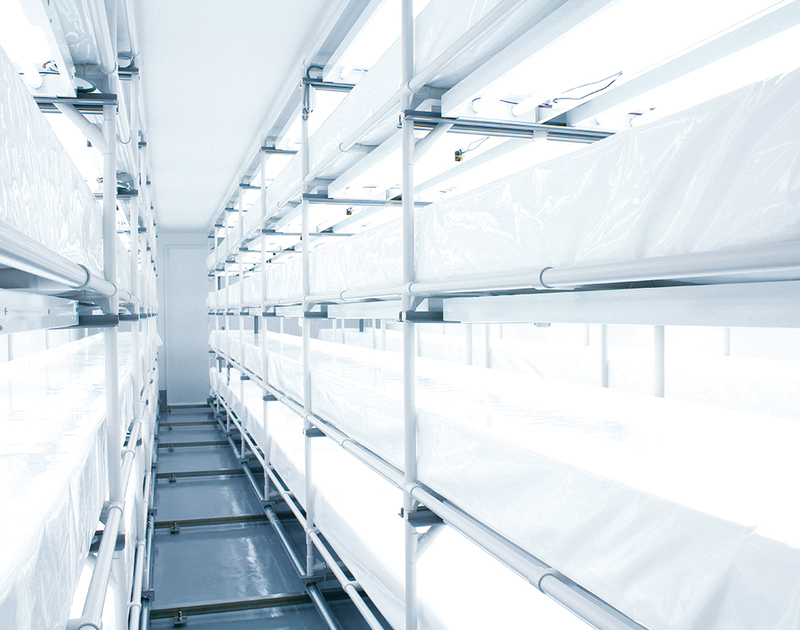 The minimized container-size plant factory is suitable for experimental use. 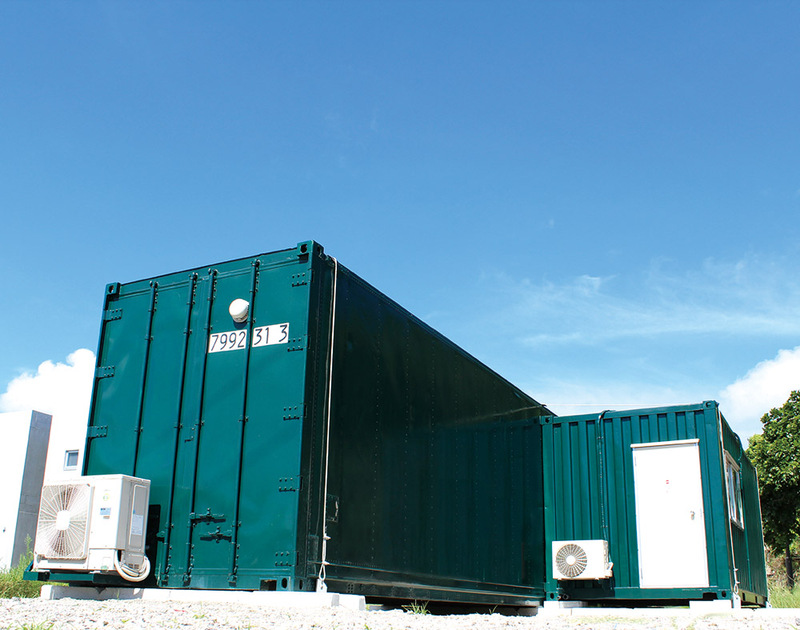 Two options for container types are available: ISO standard container for easy transportation to overseas, JIS standard container for meeting the building certification codes. The Container plant factory reduces construction time. Anyone wanting to test vegetable production on a small scale before stepping into a large-scale operation. Anyone considering a plant factory for personal use. Medium to large-scale plant factory flexibly designed to meet the needs and demands of the location. Design is carefully examined to provide maximum operating efficiency, based to the size of the plant factory. Flexible design can take into account future use and modifications. Anyone considering productive, effective, and practical use of existing land. Anyone wanting to construct a plant factory tailored to land topography. 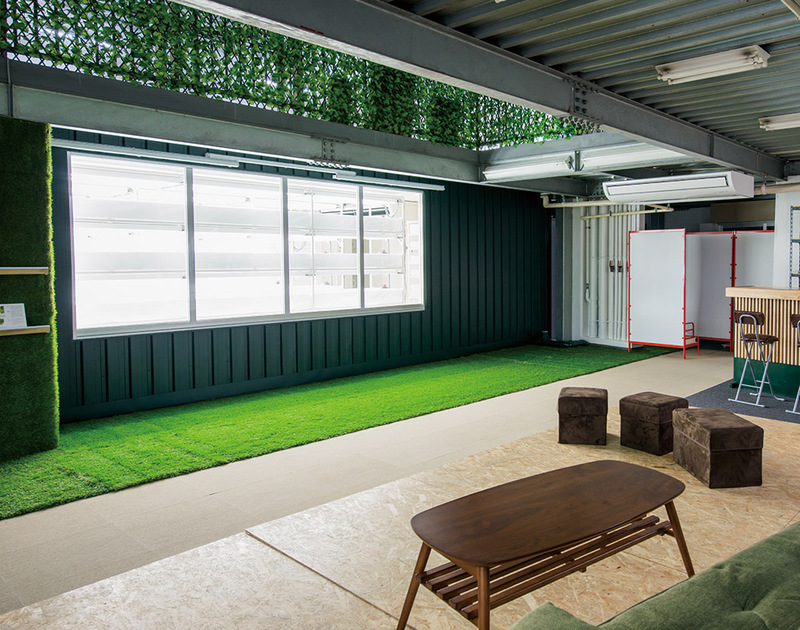 Plant factory renovating and giving new purpose to unused building space. Design can be customized to yield maximum production capacity and operating efficiency, based on the size, shape, and location of an available building space. Construction cost can be relatively lower, compared to the other two types of the plant factories, by using an existing building frame. Construction period can be relatively shorter, compared to the other two types of the plant factories, by using an existing building frame. Anyone wanting to productively and practically utilize an unused building, factory, or room. It generally requires 5~8 months from preliminary research to first harvest.